CIA Director John Brennan calls some of the agency's torture techniques "abhorrent” but defends the program overall. Central Intelligence Agency (CIA) Director John Brennan on Thursday addressed the revelations contained in a comprehensive report released this week about the agency’s use of enhanced interrogation methods from 2002 to 2009, ABC News reported, calling some of the techniques "abhorrent” but defending the program overall. The report accused the CIA of using unauthorized interrogation techniques to extract information from detainees, including using power drills, mock executions, forced-feeding and threats against their families. 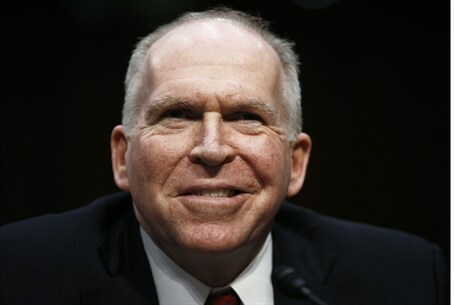 In his opening remarks at an unusual live news conference, Brennan said the United States looked to the CIA to provide guidance on how to deal with al Qaeda in the chaotic days after the September 11, 2001, terrorist attacks. Brennan said that the agency was ill-prepared for the task it was given, calling the interrogation program “uncharted territory” and adding that the agency had little experience housing and interrogating detainees. “This was a workforce that was trying to do the right thing," he said, according to ABC News. The study asserted the torture methods did not yield information from detainees that could not have been acquired in other ways, and that the CIA misled the Bush administration about what exactly the enhanced interrogation program was. Brennan did not deliver a full-throated defense of the CIA's use of enhanced interrogation techniques, but rather said it was unclear whether or not their use led to crucial information in the hunt for Osama bin Laden and other terrorists. “Let me be clear: We have not concluded that it was the EITs within that program that allowed us to obtain useful information from the detainees subjected to them,” he said. In defending the CIA’s interrogation program, Brennan has joined former CIA directors George Tenet, Porter Goss and Michael Hayden, who wrote a 2,500-word rebuttal in the Wall Street Journal this week. After the report was released this week, the United Nations’ Special Rapporteur on counter-terrorism and human rights, Ben Emmerson, called for the prosecution of those responsible for the "criminal conspiracy" revealed in the report. This includes senior U.S. government officials who authorized the harsh interrogation tactics, said Emmerson. "It is now time to take action," Emmerson said in a statement. "The individuals responsible for the criminal conspiracy revealed in today's report must be brought to justice, and must face criminal penalties commensurate with the gravity of their crimes."